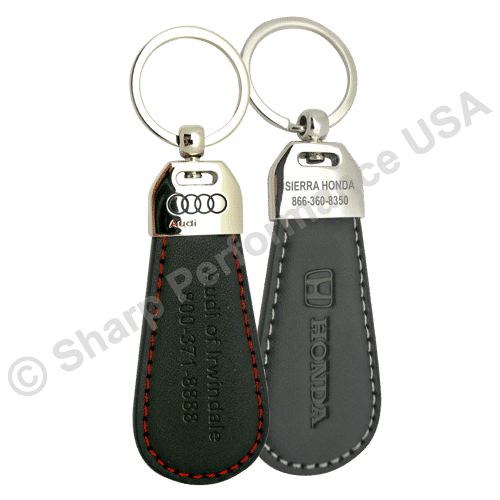 Premium Leather & Metal Keychain w/ contrast stitching. Swivel ball connector so keys fit easy in your pocket. Zinc w/ Shiny Nickel Finish., Leather material. Material can be different colors, and different stitch color.